In 1979 Frank was elected Member of Parliament for Birkenhead and has since displayed a unique attachment to his constituency. During the 1980s he led the campaign to make the Labour Party electable, which not only involved the very public countering of Trotskyites in Birkenhead, but also the development of policies which had widespread appeal. To this end, he led the transformation of the debate on welfare from one that believed in a process of pure altruism, to one which had a more sane view of human nature. Between 1980 and 1981 he served as Shadow Education and Social Security spokesman under the leadership of Michael Foot. 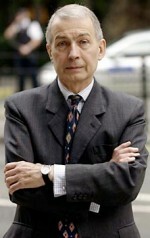 In 1990 he took up the chairmanship of the Social Security Select Committee and continued in this role up to 1997. From 1997-1998 he accepted the position of Minister for Welfare Reform in Tony Blair’s first cabinet. He then served as a member of the Public Accounts Committee between 2002 and 2005. Before the 2010 General Election, when Frank was returned with an increased majority, Frank led the campaign against the removal of the 10p rate of tax which saw 5.3 million households financially lose out. In 2010, in recognition of his expertise in the fields of poverty and welfare, Frank was appointed Chair of the Independent Review on Poverty and Life Chances.